Rheumatoid arthritis is getting many people to see in today. 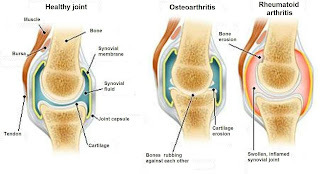 In this, the body's immune system attacks the joints on the capsule lining, which is known as Synovial Membrane.Rheumatoid arthritis is a disease associated with joints which once affects the whole body. The pain of this disease is unbearable especially during the winter and in the morning time.It swells and the person feels pain due to painful swelling in the joints.In this disease many parts of our body are affected such as blood vessels,eyes,lungs,heart,kidneys,skin,nerve tissue,bone marrow etc.In this there is a lot of pain, burning sensation in the joint. 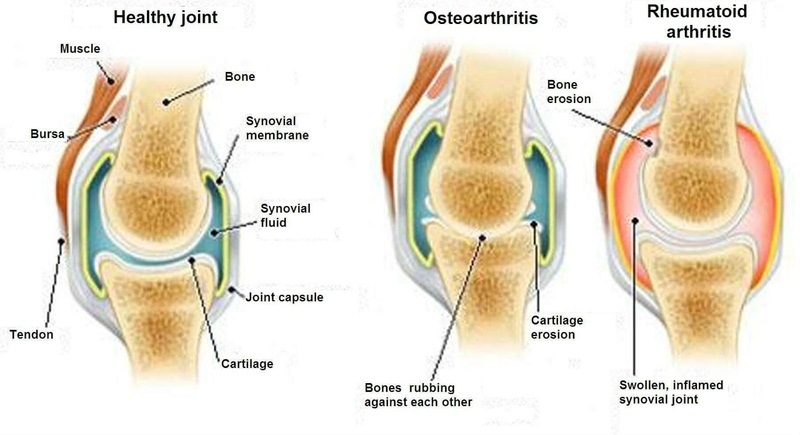 Rheumatoid arthritis is seen as the risk of getting those people who are wearing wet clothes for a long time,sleep on cold ground and sometimes malnourished also cause them.This disease is more likely to be seen in women than men.Many times this disease also results in obesity,chronic injuries or genetic factors. In this the patient feel the pain in the night and the stiffness stays in the body. In this disease,the patient feels pain in the joint without stirring it.Rheumatoid arthritis are more affected large parts of body like knee,hands,feet,elbows,ankles etc.It is sometimes a joint and sometimes a pair of joints feel pain with inflammation together and joints also feel stiffness.It has been seen several times that the patient starts feeling slight fever,thirst,laziness and weight loss.As the disease progresses, the person feels very painful and stiffness in Joints, which is very painful situation. If symptoms of this disease show up, then you should immediately contact the Orthopedic specialist. However, due to some caution, the pain of this disease can be reduced. If there is more pain during sleep at night, it is easier to relax with a hot water bag.If there is a problem of rheumatoid arthritis, give special attention to your diet. Add more percentage of fruits and vegetables to your diet.Include orange,seasonal fruits and vegetables,banana,apple,cauliflower,coconut,watermelon etc.Eat green and fresh vegetables,add carrot,fenugreek,cucumber etc in your diet.Use brittle flour because it contains high amounts of fiber. To reduce the pain of this disease add regular exercise to your daily routine,besides catering and medicines.If there is more pain and swelling,you can use medicines with the advice of the physician.